The joints of the N01 wooden chair are designed to look as though they are touching each other as little as possible. Designed by Nendo for Republic of Fritz Hansen, N01 is a new wooden chair for the modern home and quality-conscious individual. 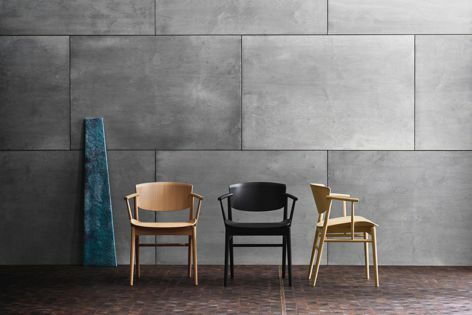 Immensely strong and with a seamless aesthetic, N01 exemplifies the similarities between Japanese and Danish design traditions. It combines a seat and back in nine layers of veneer and comprises 23 wood pieces that are meticulously assembled by hand.